CVS drugstores that quit tobacco sales last year are now getting health and beauty makeovers and a shot of ethnic diversity in some cases to attract customers who want more than a prescription refill. The nation’s second-largest drugstore chain said Wednesday that it is adding fresh foods, healthy snacks and expanded beauty options to many of its locations. It also is testing a new format designed for stores that serve Hispanic populations. CVS Health Corp. executives say these changes reflect customer demand. They also could help perk up store sales outside the pharmacy area that have slumped since the company phased out tobacco last September. The push from CVS reflects similar expansions by rivals Walgreens Boots Alliance Inc. and Rite Aid Corp. into selling healthier foods and more beauty items. Drugstores have been focusing more for a few years now on customizing their stores to what shoppers in a specific market want instead of simply building new locations. They’ve also added clinics and expanded their health care services in part to get more business from aging baby boomers and people who are gaining insurance coverage through the federal health care overhaul. And drugstores are offering a wider array of products outside the pharmacy to satisfy customers who want to make fewer stops when they go shopping. “Health and beauty, in particular, is very high profit margin, and CVS has always been a leader there,” said Jeff Jonas, a portfolio manager who follows the industry for Gabelli Funds. CVS Health, which recently announced a partnership with Target Corp. to expand its health care business, runs about 7,800 drugstores nationwide . The Woonsocket, Rhode Island-based chain said Wednesday that it is adding fresh and refrigerated foods to about 500 of its stores and bulking up on healthier snacks chainwide. Bagged candy, which occupies the first aisle in many stores, is being moved back and replaced with nuts, trail mixes and granola, among other items. “Consumers used to eat three meals a day, and now they tend to be snacking through the day, and they’re really looking for a convenient location which gives them access to healthier foods,” Executive Vice President Helena Foulkes said. CVS started adding groceries to some urban stores a few years ago to serve customers who don’t have easy access to a supermarket. The company recently started testing a new wrinkle to that themed concept with a dozen, mostly remodeled stores named CVS/pharmacy y mas in South Florida. These stores are staffed by bilingual workers and sell brands popular with Hispanic customers as well as products like espresso makers and rice cookers. They also sell an espresso-style coffee called Cafecito in their pharmacies. CVS designed the concept based on insights it gained after buying the small Navarro Discount Pharmacy chain last year. The company also is adding more beauty products and improving the look of that section in many of its stores. Foulkes said health and beauty sales have grown 25 percent faster over the last three years than general merchandise and edibles in the front of their stores, or the area outside the pharmacy. 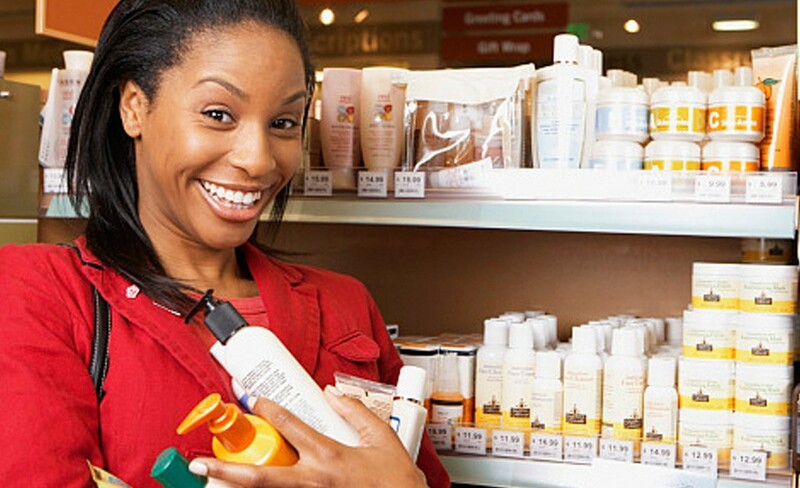 Bulking up on beauty caters to women, who make up 80 percent of their store customer base. CVS Health declined to detail how much it is spending on all the changes. The investment is focused on an area of the company’s business that could use a boost. Revenue from the front end of the company’s established drugstores, or the area outside the pharmacy, has slipped the past couple of quarters. It was down 6 percent in the first quarter but would have risen about 2 percent without the loss of revenue brought in by tobacco. Retailers don’t make a lot of money off tobacco, but it draws customers who often pick up other items like a can of soda or a snack when they visit. CVS draws most of its drugstore revenue from its pharmacies. Most of its corporate revenue comes from running one of the nation’s largest pharmacy benefits management businesses, which handles prescription drug plans for employers, insurers and other customers. Company shares climbed 67 cents to $103.84 Wednesday afternoon trading, slightly outpacing broader trading indexes.